January always feels a bit different here. Our Impact Teams tend to take the month off, Jon and Jude Witt tend to be settling back into life in the UK for a while and as a team we tend to take the opportunity to step back and do some big thinking to make sure our direction for the upcoming year is right. This year as all these things have been happening we’ve been reminded time and again that we must pray, pray and pray. After that, we should pray some more! Reminders to pray have been coming at us thick and fast. In response to this call to prayer we have written some simple prayers for 2017. As we wrote these prayers we were reminded that prayer is co-operation with God. Our prayers are spokes in the wheels or an extra push on the pedals as we travel with God. 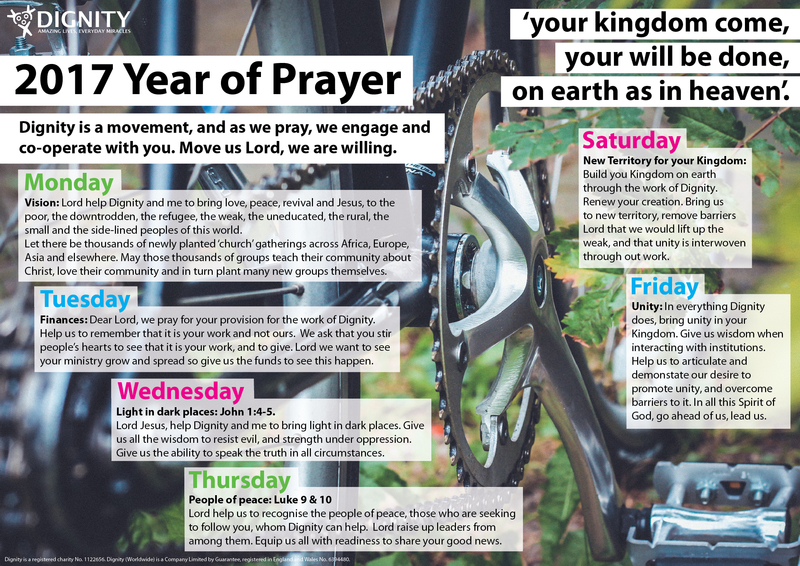 We would love you to join us in these prayers throughout the year. 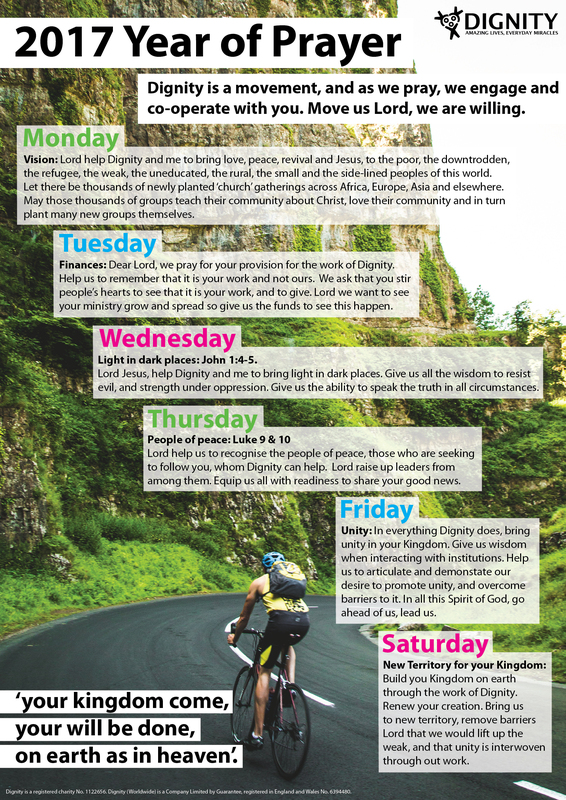 Download your favourite design by clicking on the image, then save it on your phone or tablet or print it out and stick it on your fridge, next to your mirror or on your church notice board… Then pray, pray and pray some more! We would love to hear from you as you pray. It’s always a huge encouragement when someone lets us know they are praying for us! In addition, if there are any words, verses or pictures that God lays on your heart, please do let us know. As we are reminded in 1 Thessalonians 5:16-18 we rejoice and give thanks for all God has done and will do. We thank God for each one of you who faithfully supports the work we do in prayer. You are valued. Thank you!